I have been meaning to get back to the habit of writing for Tom C ever since I finished my latest Sotheby’s revise (due out in early November) and when two English sparkling wine stories caught my eye, it seemed the ideal topic to kick off with. The Duchess of Cornwall was right to be proud of English sparkling wines. Well, the best in any case. But to call them “Champagne” would renounce their English heritage and show no respect for the historic provenance of Champagne itself. I think that Camilla’s English heart is in the right place, but unlike the rest of us, she is in a position where she does not have the luxury of mature reflection. As with Prince Charles, the press pouncing on her every word, particularly if they can be seen as controversial. With 20-20 hindsight, I am sure that the Duchess would no more want to abuse the name of Champagne than she would like to see the French claim the provenance of the Duchy of Cornwall. Besides, no self-respecting producer of high quality sparkling wine producer would dream of using the Champagne name. However, the Duchess of Cornwall’s remarks do raise an important and timely two-part question: Does English sparkling wine need another name and, if it does, what should the new appellation be? This was theme of the second English wine story to catch my eye, a recent news piece by Amy Wislocki, ‘English wine community split over new names for sparkling’, which was published by on Decanter.com on Friday 1 July. Wislocki started with the recent release of Coates & Seely Rosé (see below), which was accompanied by a six-page press release that failed to mention the price or availability of this new product, but was heavy on background, and took the opportunity to promote the term “Méthode Britannique”. Wislocki went on to explain that Ridgeview’s Mike Roberts has been working for some time to get the term “Merret” (Christopher Merret** was the first person to describe the deliberate addition of sugar to a finished wine to provoke a second fermentation in a sealed bottle and thus a sparkling wine) adopted as the generic term for English sparkling wine. She pointed out that Ridgeview currently owns the copyright for the “Merret” term and uses it own its own products, but envisages it becoming a publicly owned trademark used by accredited producers achieving strict production criteria. She also quoted Bob Lindo, the owner of Camel Valley, who firmly stated that his sparkling wines would never adopt any such generic term. Skelton comments make a lot of sense. The Christopher Merret story is a good one, but Ridgeview’s longterm use of “Merret” on its own sparkling wines does make it unattractive for other producers to promote. However, if English sparkling wine is to have a new appellation, then I could not disagree more with Eric Heerema’s remark that it is “so too early to decide on a name”. With Merret’s 350th anniversary in 2012, this is the perfect time. 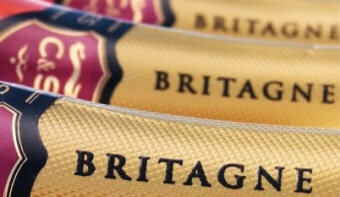 When will we ever get such an auspicious English sparkling wine date to coincide with the Olympics? Never. The world’s press will be here and when it rains, as it inevitably will, there will be thousands of international media scrambling around for a story. What better excuse for trotting out the Merret story and laying on a non-stop opportunity for accredited members of the wet and bedraggled international media to taste the best English sparkling wines? It’s such a no-brainer that you would think the English sparkling wine producers would be bending over backwards to make it work, but while individually they can be quite astute, collectively they are their own worst enemy. Unlike the Duchess of Kent, Nicholas Coates and Christian Seely had plenty of time to cogitate over a potential new English sparkling wine name, yet their “Méthode Britannique” could not be more inappropriate. 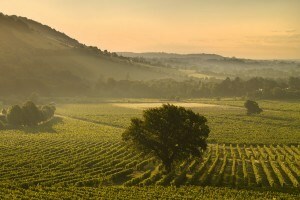 Why use the French language for a British appellation? It suggests that it is no more than a British copy of the French original, which is the opposite of the truth, as demonstrated by Christopher Merret. If not for Merret, I would totally agree with Stephen Skelton assertion that no new generic appellation is needed, but in 1662 he became not only the first person to describe the deliberate addition of sugar to a finished wine (i.e., already fermented dry wine) to create a sparkling wine, he also became the first person ever to use the term “sparkling wine”. The first documented mention of the equivalent French term, “vin mousseux” was not until 1718 in a document called Mémoire sur le Manière de cultiver la Vigne et de faire le Vin de en Champagne, which was written by an anonymous author (believed to be Jean Godinot), who referred to the popularity of vin mousseux having been established “more than 20 years earlier”. If I cited that as evidence of the first English sparkling wine, I would be laughed out of court by the French and rightly so. There was no production method described in 1718 (and curiously no mention of Dom Pérignon, who the French would have us believe invented sparkling Champagne). By contrast, Christopher Merret stated that adding sugar was also “… to give them spirit as also to mend their bad tastes, all which raisins and cure and stum perform”. The raisins were the source of yeast cells (unknown at the time, it would not be until 1857 that Pasteur discovers these to be the catalysts for fermentation), while his use of “spirit” denotes increased alcohol content, and “stum perform” is a precise description of a new fermentation in 17th-century English. However, if we take Godinot’s statement at face value and accept that sparkling Champagneexisted in 1698, that is still 22 years after 1676, when Sir George Etherege wrote in The Man of Mode “To the Mall and the Park, Where we love till’tis dark, Then sparkling Champaign …”. Although the method described by Merret does not mention Champagne specifically, Champagne obviously suited the process better than any otherwine our coopers were messing around with because, within just 14 years, “sparkling Champaign” had achieved such a level of fame Etherege could wax lyrical about it. So we have a story to tell: the English invented the method of turning still wines into sparkling through an intentional and repeatable process. Skelton puts forward a good case for keeping the status quo, but it is not the best case. If we are as proud to be British as the French are to be French, we should stake our claim to the provenance of the so-called méthode champenoise, a term that is now reserved but never used for Champagne, by mounting a campaign for the “Original British Method”. Perhaps the Duchess of Cornwall might be persuaded to head the fight for the right of English sparkling wine producers to be granted this appellation, which reflects the historical truth – putting it one step ahead of Champagne. Stunning. Simply stunning! The acidity is so electrifying, pure, and endless, with a beautifully balanced 9 grams of dosage, and a lingering hint of strawberries on the finish. This rates as one of England’s greatest sparkling rosé wines, up there with the 2007 Nyetimber Rosé (the first by Cherie Spriggs) and the 2005 and 2007 Camel Valley Pinot Noir Rosés. **In 1998, Christie’s World Encyclopedia of Champagne & Sparkling Wine (Absolute Press) was the first book to publish Merret’s 17th-century document, making it the only wine book to warrant a leader in any UK national newspaper (The Guardian, 14 October 1998). See also The Duchess & the Champagne part II for a royal news story that broke, purely by coincidence, just a week after we published this piece on wine-pages.